Donji Vakuf was situated on the line between La�va, Travnik, Jajce and �ipovo. It was also a junction for a 34 Km branch line to Gornji Vakuf - refer to tables 72 and 73 on the timetable page. Between Donji Vakuf and La�va lay the Komar Pass, this was 900 m high, rack worked and had a 2 Km long tunnel at the summit. 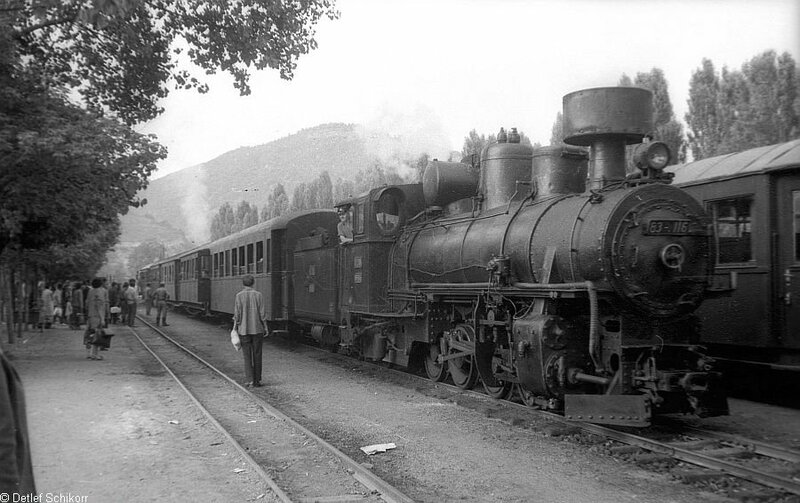 Locomotives were changed at Donji Vakuf with the Class 97 rack locomotives taking over the trains for the climb over the Komar Pass. Trains to and from La�va also reversed in the station. All the photographs were taken on 19.07.1969. 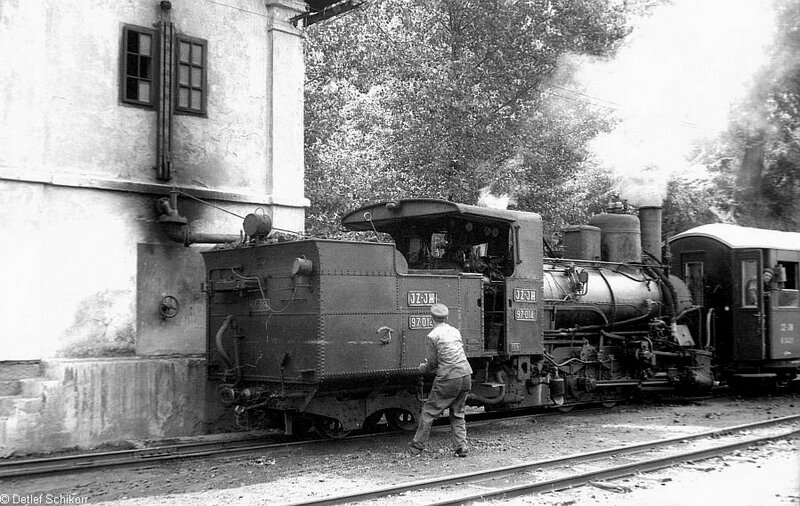 Three views of rack locomotive 97-004 (Floridsdorf 958/1895) at Travnik shorly after arriving from Donji Vakuf. 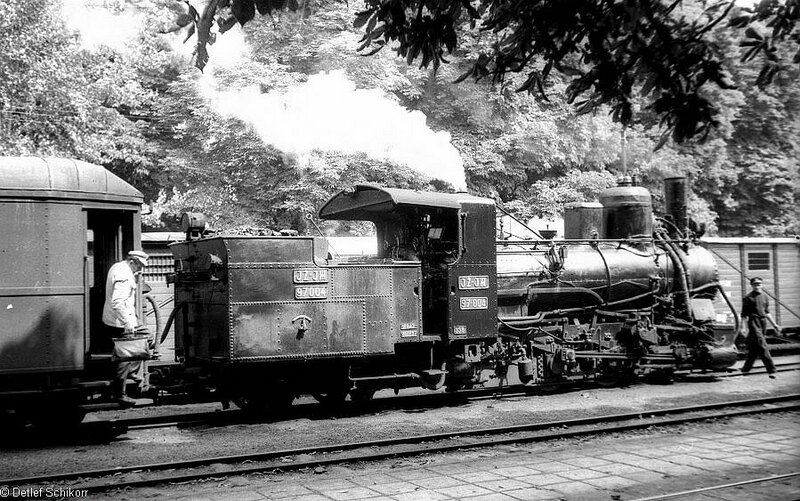 97-014, acting as banker, is seen taking water at Goles at the start of the rack section. 97-014 is seen again, this time at Oborci having crossed the Komar Pass. 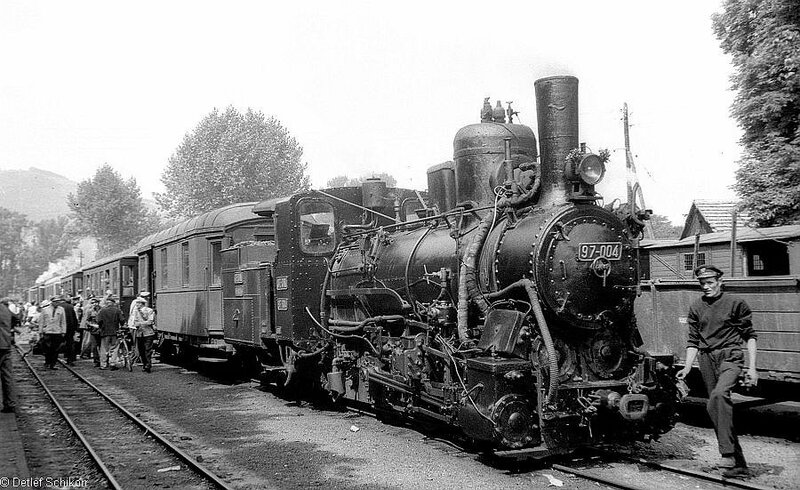 Detlef writes "We sat in the last carriage to record the sound of 97-014 banking the train. The fumes from the front loco were so bad that while passing through the summit tunnel we had to lie on the floor and gasp for breath!" 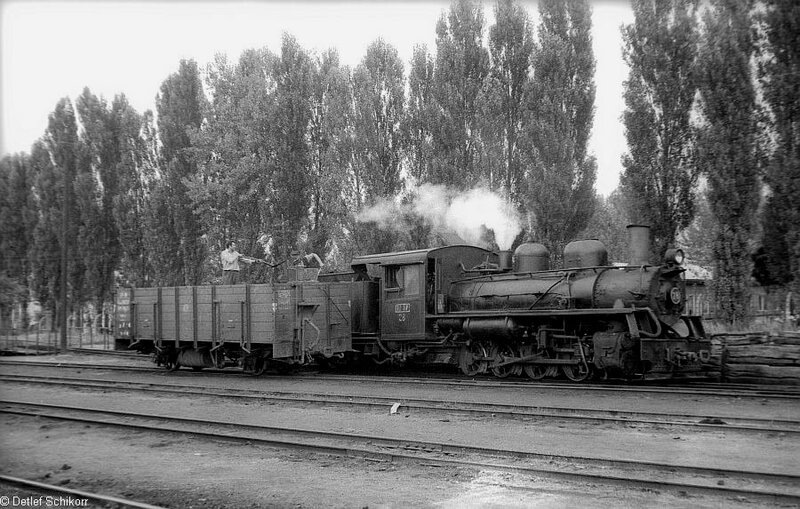 A passenger train from Donji Vakuf to Gornji Vakuf at Bugojno. 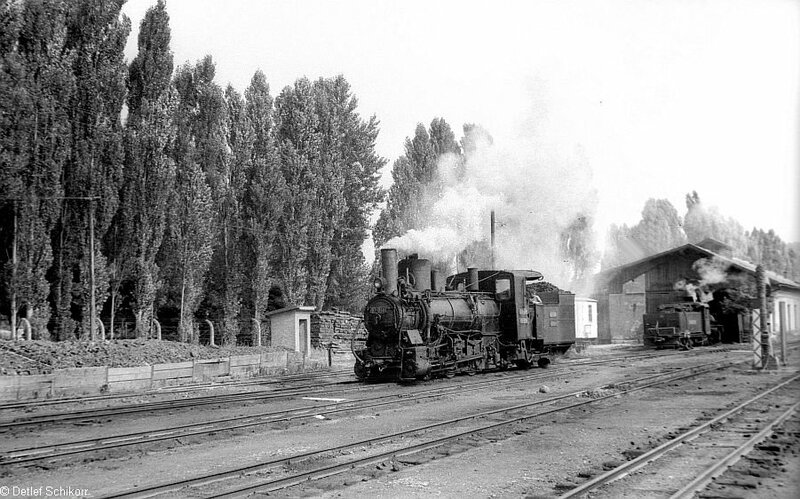 The train is hauled by UNRRA 0-8-0 No. 22 (H.K.Porter 8068/1945). 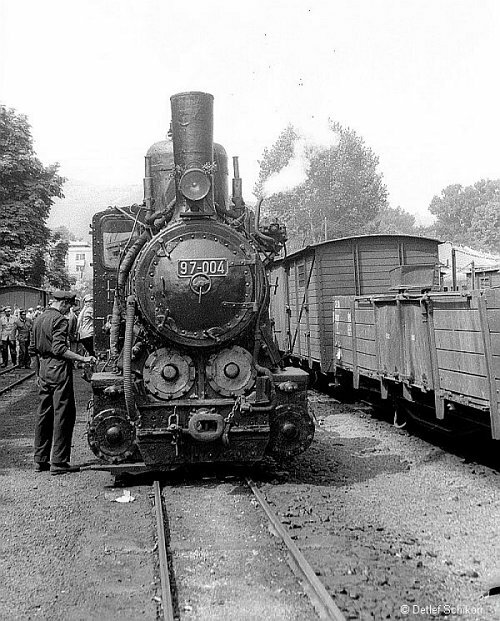 After the Second World War, thirty four of these American built locos were delivered to Yugoslavia for the 76cm lines. 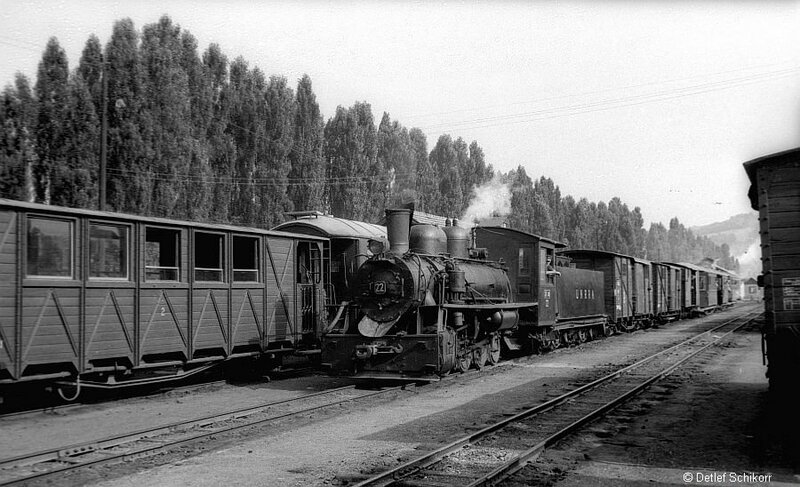 97-020 (Floridsdorf 1804/1908) at Donji Vakuf awaiting its next turn over the Komar Pass. 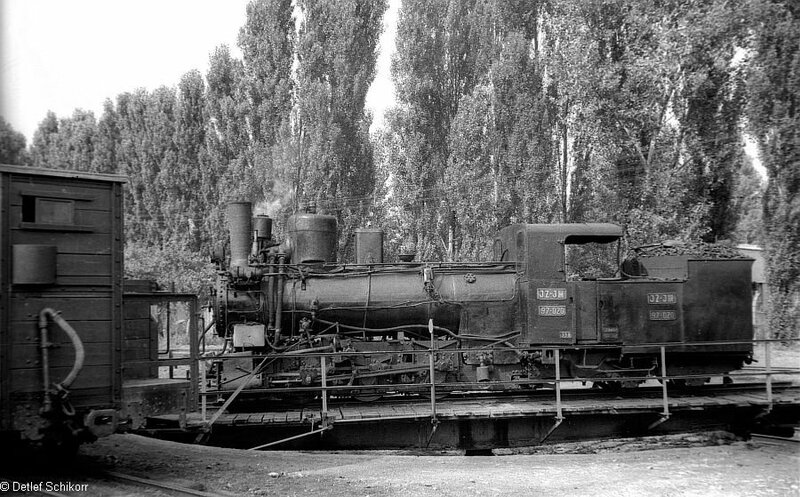 97-020 on the turntable at Donji Vakuf. 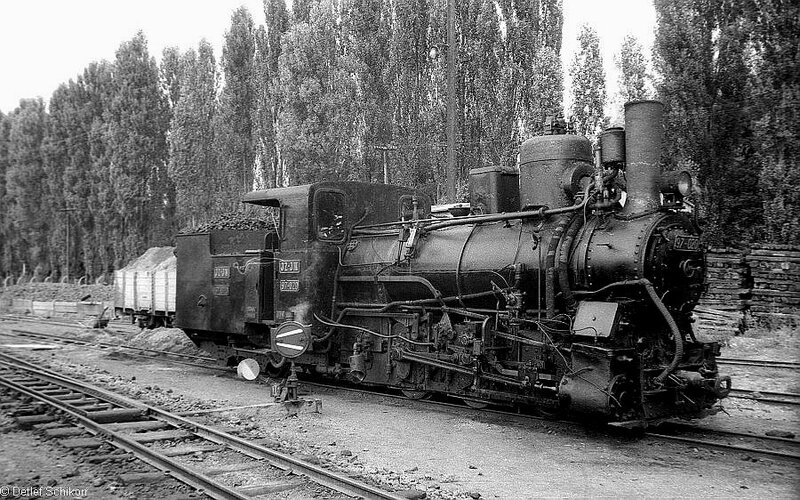 The locomotive shed at Donji Vakuf with 97-014 and a UNRRA 0-8-0 visible. "We were suddenly shouted at from the shed and feared the worst. But the cry was 'Friends, Slivovice' (the deadly plum brandy!)". 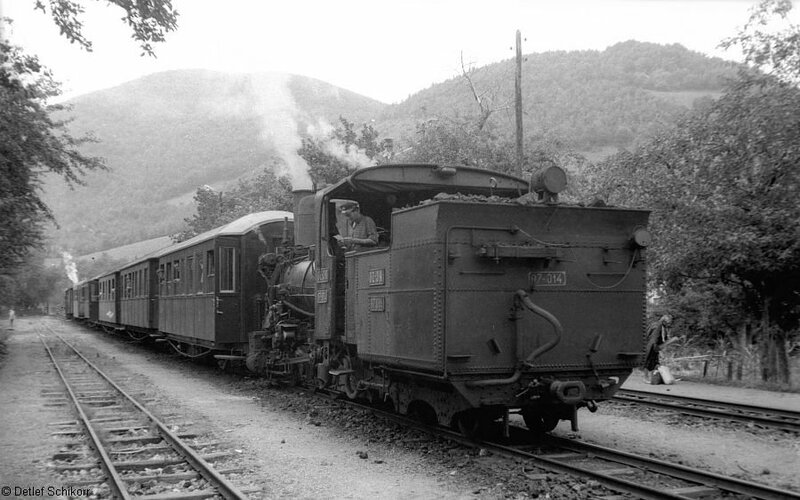 passenger train from Gornji Vakuf." 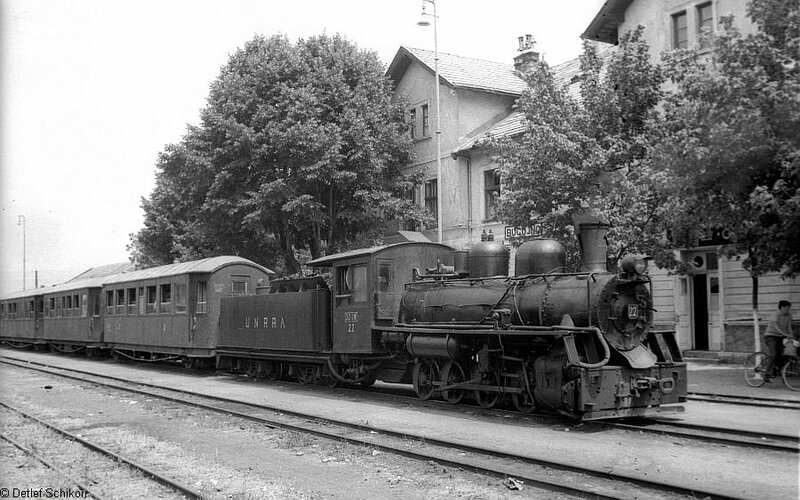 0-8-2 83-116 (Krauss/Linz 7297/1917) arriving at Donji Vakuf with a passenger train from Jajce to La�va.